The de Blasio Administration officially initiated the public review process for a rezoning of the southern half of Governors Island. This effort has the potential to unlock up to 4.5 million sq. ft. of commercial, academic, cultural and institutional development that would complement and financially sustain the Island's popular park, public programming and cultural amenities. This rezoning will draw on the city's work to repurpose historic buildings with a focus on new development areas to support the job producing industries that represent the future of the city. “Thanks to almost a decade's worth of substantial city and philanthropic investment, Governors Island is already a destination for recreation, relaxation and culture for nearly a million visitors annually. This rezoning represents the next step in marrying the Island's rich history with its future role as a global hub for convening, the arts, tech, and education," said Alicia Glen, deputy mayor of housing and economic development. The proposed rezoning covers 33 acres on the southern half of Governors Island, across two zones previously established for new development as part of a 2010 Park and Public Space Master Plan. 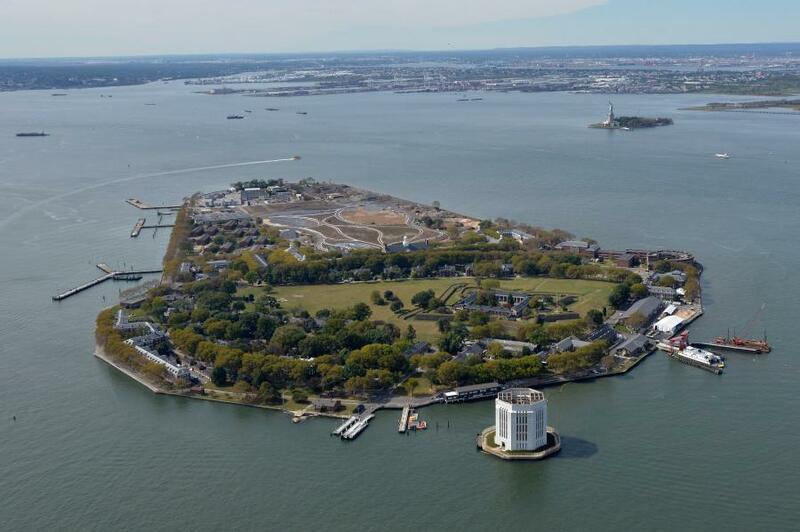 The sites include a 7-acre parcel on the western side of the Island with sweeping views of the Statue of Liberty and an expansive 26-acre parcel on the Island's eastern shore that together have 4.5 million sq. ft. of development potential. The process outlined paves the way for new development to be integrated into the southern half of Governors Island that is targeted to support the city's efforts to further diversify its growing economy. Each development has the potential to allow unique and flexible floorplates to support new industries that represent the city's future, such as life sciences, media and technology companies. New structures will be predominantly low and mid-rise. While a federal deed restriction established as part of the 2003 transfer of the Island to New York precludes any full-time residential uses on the Island, this plan will make way for more academic and institutional uses that will complement the Island's existing character as a popular recreational and cultural destination. All revenue streams from future development will support park operations, maintenance and expanded access to the Island's open spaces. Governors Island has grown in popularity among New Yorkers, with a 65 percent increase in visitorship since 2014. Since the new park was completed in 2016, the Island has expanded from a four-month season to a six-month season, and late nights on Friday and Saturdays were introduced this year. With more than 50 historic buildings on the northern section of Governors Island, the Island currently is home to two year-round tenants: the New York Harbor School and the Lower Manhattan Cultural Council's Art Center. Several new tenants also are preparing to move into buildings on the Island year-round, including Spaceworks and the Billion Oyster Project. “Manhattan Community Board 1 has long supported the work of the Trust and our mutual goal to unleash the potential of Governors Island. Offering a unique combination of more open space along with economic and cultural drivers, all New York will benefit from this development. We look forward to working with the Trust to maximize the uses and benefits,” said Anthony Notaro Jr., chair, Manhattan Community Board 1.